How does one explain Muslim apathy evinced towards mass murder in the Middle East, whether it is perpetrated by the followers of Islam or by world powers? 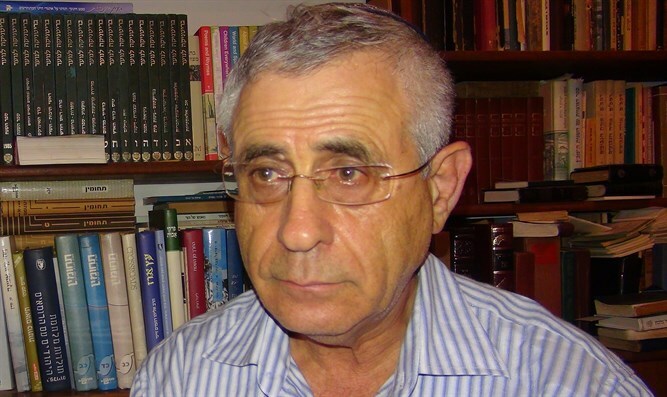 I began my research into the Arab and Islamic world more than fifty years ago, when I became fascinated by the classes taught by my Arabic teacher, the late Dov Iron, in Tel Aviv's Zeitleen high school. From the very first class in early September 1066, I realized that we are being exposed to a culture that differs in every respect from the one upon which I was raised. I realized that the Arabic language is the key to a whole new world, one that thinks, feels and behaves in a way that must be studied perceptively in order to be understood. The feeling that the Arab world is a totally different culture became more and more evident to me during the 25 years I spent in the IDF Intelligence Corps, but only when I moved into the academic world was I able to delve deeply into that culture. Academic scholarship allows researchers to dig down to the roots of a culture, reveal the source of its problems, plumb the well of its troubles – but also to find the spring from which solutions to them might flow. In my articles, I make an attempt to share the understandings and conclusions I have reached as a result of my research. This past week, the last in November 2017, gave us another painful, sad opportunity to ask an oft-repeated and troubling culture-based question: How does one explain the apathy evinced towards mass murder in the Middle East, whether perpetrated by local Muslims or by world powers? Last Friday there was a massive terror attack in the city of Bir al-Abd, located near El Arish in the northern Sinai, an area populated by Bedouin. 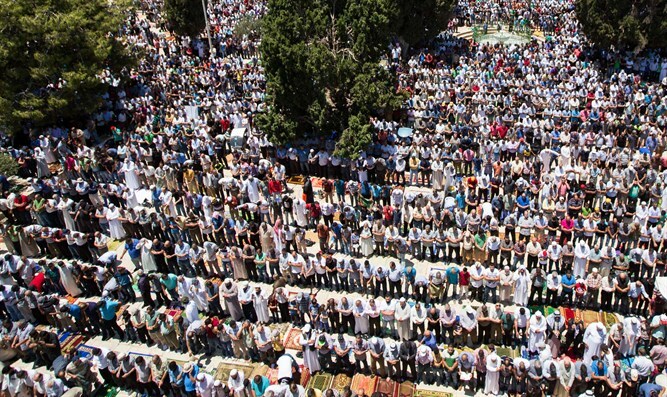 An armed group of terrorists, most probably belonging to the Sinai branch of ISIS, used bombs and bullets to attack hundreds of people gathered in the Al-Rawda (Garden )mosque for noon prayers, the most important prayer in the Islamic week. They slaughtered 305 men, women and children in cold blood, eradicated entire families and wounded more than one hundred. The cruel bloodbath included shocking instances of shooting wounded victims once again from close range to ensure their deaths. Arab media featured the massacre for two days, although it broadcast Egyptian President Al-Sisi's speech in which he declared three days of nationwide mourning in Egypt and threatened a response employing "terrible power" against the Jihadists in Sinai. Commentators said that the attack took place because the worshipers were of the mystically-oriented Soufi Islamic sect, considered near-heretical by the Salafists. Another reason mentioned was the refusal of the town's residents to cooperate with the Jihadists, as well as the aid they proferred the Egyptian Army. What interests us at present is a problem brought up by writer Sharif Badi Al-Noor on November 28th in an article appearing in the Arabic Al Ahram newspaper. Its title was "Why don’t the Egyptians care about the victims of El Arish?" and in it, he describes the reactions of the Egyptian public during the two days following the attack: Streets overflowing with people, stores filled with shoppers, thousands relaxing in cafes and restaurants, many of them watching soccer games. Everything as usual, no demonstrations, not even a sign protesting the mass murderers who defiled Egypt so horrendously once again. The writer compares the public's apathy regarding the Sinai attack to the storm that would have ensued had it been Israel – which, he writes, is on a higher level than the scum who murdered the worshipers - who killed ten worshipers, not three hundred. He asks rhetorically: How many would have poured into the streets in that case? So why isn't anyone protesting what happened in Sinai? Is it because some see it as a far-off land? Are the Bedouin not Egyptian citizens? Why don't we care about what happens in Bir al-Abd? If there was, G-d forbid, an attack in Cairo that took the lives of a mere six people, wouldn't we all be trembling in fear? The problem lies not in the government, he continues, nor in the Egyptian Intelligence Services and Army (as the pundits claim) but in us, the Egyptian people, because we - the people – must be the ones who block terror. Why don't we have classes in school teaching about the negative and harmful Jihadist ideas and how to protect ourselves from them? Why are there no required courses in colleges and universities that teach students about the nationalist ideology capable of uprooting those dangerous ideas? Religious discourse in Egypt, continues the writer, centers around ridiculous topics such as the afterlife, signs that the End of Time is near, Messiah's characteristics, descriptions of Satan, interpretations of dreams and controlling women. He asks: Who says this is what Islam is all about? Who is responsible for the lack of intelligence and wisdom in current religious discourse? The only hope, he feels, lies in the young intelligentsia, education being the only barrier stopping the extremists (who view the intelligentsia as heretics ) - from realizing their hopes. It is not only technical education, not instrumental areas of knowledge such as medicine and engineering (al Qaeda is led by Ayman al-Zawahiri, a physician) but the scholarship of ideas that reaches the inner depths of the soul and forms the basis of a strong character that can withstand the destructive Islamic ideas which have found a home in far too many hearts. The writer doesn't go into details, but it seems that he wants to say that the destructive ideas embedded in current Islamic religious discourse – flawed, in his opinion – view Soufis as heretics and portray the Jihadist as the genuine Islamic fighter, beheadings as part of returning Islam to its former glory, mass murderers as bringing back the 7th century victories that Islam should be repeating in the 21st century. That explains why when terrorists murder over 300 Soufi Muslims praying in a mosque, it's not all that upsetting and the rest of the day can go on as usual. Islam's Prophet Mohammed, is quoted in a Hadith as saying: "My people will break up into 73 groups, but only one of them will escape going to Hell." This Hadith was written on the backdrop of the conflicts in the Muslim world and the tendency of each group to claim that its members are the true faithful while all the others are misguided. It follows that the first group will end up in the Garden of Eden and the others in Hell. The problem is that while every Muslim group says that it is the real Islam and that the others are mistaken, the violent groups among them are all too willing to send all the others to Hell. Forthwith. This is how violent phalangism became the "name of the game" in the Islamic world, because after all, the self-chosen have a seal of approval from the prophet himself. Fatalism, the belief in inevitable submission to a predetermined destiny, Qada' Wa-Qadar in Arabic, is another problem plaguing Egypt. This belief states that whatever happens has already been determined in heaven and that man is powerless to change that heavenly decree. It is forbidden to oppose fate, challenge it or to question the decisions made by an omniscient God, even if they entail being murdered by our own Muslim brothers . Man cannot comprehend heavenly logic, is not aware of God's decisions and cannot fathom His actions. That is why if Muslims are forced to live under impossible conditions (a full third of Egypt's population lives in unplanned neighborhoods, lacking running water, sewage, electricity, telephone service, employment and income) those living conditions are a matter of destiny and there is nothing to be done about it. This, then, is the source of the public's apathy towards the inhuman suffering of millions of Egyptian citizens and the reason it does not react to the horrible murders that took place last Friday. This submission to fate is also a result of Islamic religious discourse, whose utter subjugation to God and His book, prophet, religion, Sharia law, desires and leadership frees man from all responsibility for his condition, erases individual character and turns him into a being lacking free will, independent thought, importance and significance. That's why it is no big deal when 300 Muslims are murdered while praying, half a million Muslims are murdered over a six year period in Syria – or a million Muslims are killed in the Iran-Iraq war that took place towards the end of the last century. The world will continue to suffer from the results of this religious discourse for as long as it continues to control Islamic thought. Islam desperately needs a thorough reform of its doctrine and the acceptance of one that redefines man's mission in this world, the meaning of his life, health, success and happiness. For as long as it is considered legitimate for mankind to be sacrificed to sectoral phalangism and to be at the mercy of an unchangeable fate, the Islamic world will continue to suffer from its cultural failures, while the spillovers – the refugees fleeing its internal conflicts – are dispersed all over the world and bring a way of life with them that views man as nothing more than the dust rising from the churning wheels of Hell on Earth.